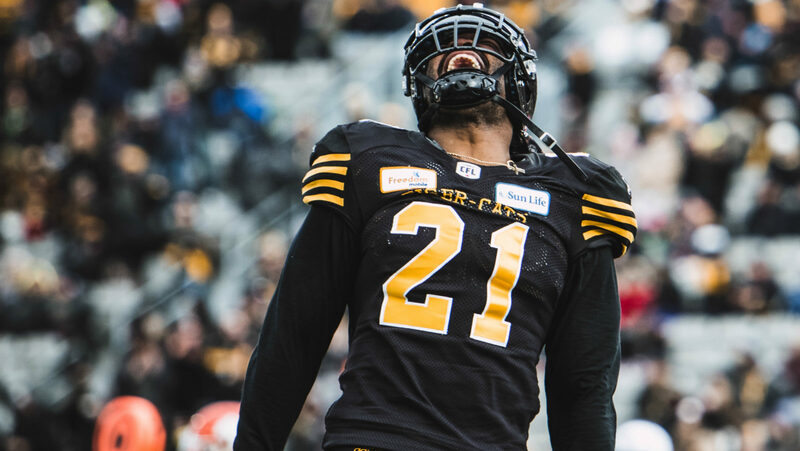 HAMILTON — The Hamilton Tiger-Cats have re-signed international linebacker Simoni Lawrence to a two-year contract, the team announced on Monday. Lawrence was set to become a free agent on Tuesday. The 30-year-old played in 18 regular season games with the Tiger-Cats in 2018, registering 68 defensive tackles, three quarterback sacks, three tackles for loss and one fumble recovery. The 6-1, 231-pound native of Upper Darby, Pennsylvania has appeared in 113 career CFL games (97 starts) with the Edmonton Eskimos (2012) and Tiger-Cats (2013-18), posting 435 defensive tackles, 21 tackles for loss, 22 quarterback sacks, eight interceptions, 10 forced fumbles, 10 fumble recoveries, 16 pass knock downs and 18 special teams tackles. He has also seen action in 11 playoff games, including two Grey Cup appearances in 2013 and 2014 with Hamilton.